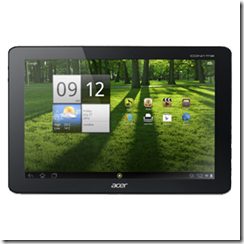 Acer Iconia A700 Up for Pre-Sale, What About the A510? 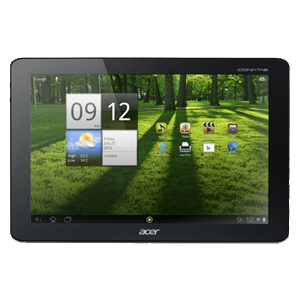 You are here: Home / General / Acer Iconia A700 Up for Pre-Sale, What About the A510? So, Acer has put the Iconia A700 tablet, with the new 1920X1200 screen resolution that’s likely to one day soon become the new 10.1” Android tablet standard, up for pre-sales on their Acer Store site. It’s listed at $449 for the 32GB model, which raises the question: what about the A510? First, the A510 was released on or about April 18, which is only two months ago as I write this post. And, it was released at $449 for the 32GB model as well. My initial thought was that the A510 would drop in price, which would likely upset anyone who recently bought it (which is everyone, since, well, it’s only been on the market for two months). That would be a really short pricing cycle for a product, but not unheard of. However, as of right now, the A510 isn’t even listed at the Acer Store. Here’s the link: http://us-store.acer.com/category.aspx?catid=87. Does this mean the A510 is being replaced by the A700? At this point, I’m not sure. It’s still for sale on Amazon and other retailers, and indeed has been very hard to get due to some component issues. So, to see it disappear from the Acer Store and the A700 released at the same price, one has to wonder. Maybe Acer just gave up on it?